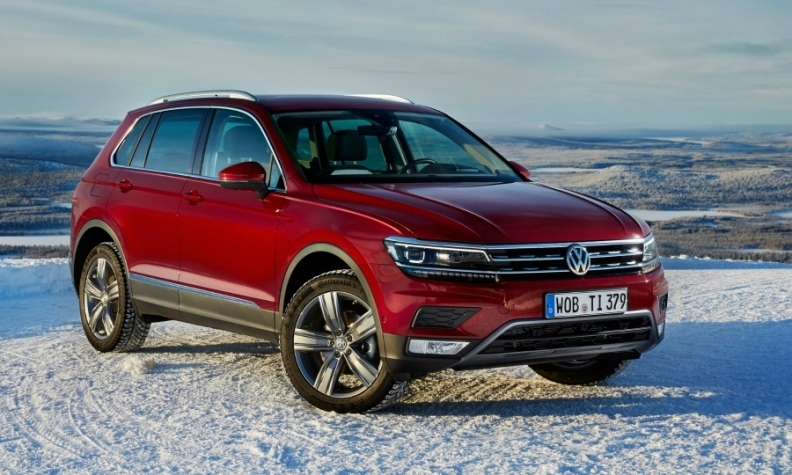 VW expects its new Tiguan to help boost sales. FRANKFURT -- Volkswagen Group's core brand, which is grappling with the effects of its diesel-emissions scandal, may have turned the corner in its key European market, sales and marketing chief, Juergen Stackmann, said. VW brand's sales in Europe, where the marque is recalling 8.5 million diesel cars with rigged software, rose 3.7 percent in February. The brand's two-month European sales are up 0.3 percent. Stackmann said forward-looking indicators showed the brand was already beginning to recover from a "brief period of weakness." VW expects a major boost from the sales launch of its latest-generation Tiguan, which arrives in European showrooms in April. The Tiguan was Europe's second best-selling compact SUV last year after the Nissan Qashqai with a volume of 148,940, down 1.3 percent, according to JATO Dynamics market researchers. Speaking at the Geneva auto show earlier this month, Stackmann said VW had already received 10,000 pre-orders for the SUV "without customers even able to see the car." Stackmann declined to provide guidance for VW brand's global full-year sales but said he is optimistic because of new product launches in key markets such as Brazil, China and India. The launches include the new Gol in Brazil, the Phideon full-size sedan to be built by Shanghai-Volkswagen in China and the Ameo, a small sedan developed and built in India tailored for the local market. The segment for cars less than 4000mm long is the biggest in India thanks to tax incentives, and part of VW's problems there have been its lack of an offering. VW brand's global vehicle sales fell 4.7 percent in February, hit by declines in China, the U.S., Brazil and Russia, the brand said in a statement on Friday. VW is calling 2016 the year for a "fresh start" for the brand as it hopes to finish a recall of 11 million cars worldwide equipped with its EA 189 family of 1.2, 1.6- and 2.0-liter diesels engines that were fitted with so-called "defeat devices" to cheat tests for harmful NOx emissions.